A lonely women on the stage recalls. The sensorial world in which she lives is born out of vibrant, dynamic video projections, that tell a fascinating story. A soprano sings what she cannot say. A man’s voice is seldomly appearing, just like a memory. The very personal performance in which Carmen Lidia Vidu is emotionally mixing Ibsen, noir film and live music is inspired by Nora from A Doll’s House by Henrik Ibsen and has a hypnotic, aggressive and a poetic ambience. The video-projections on the human body creates in turn a feeling of rejuvenation, of aging, the «visibility» of the senses. «Videoprojections» signed by Cristina Baciu is what is called the heart beat of the show. The visual and audible part gives the tempo of the show» says the director. The director Carmen Lidia Vidu, the recent winner for the best documentary at Gopo Awards, is a unique voice on the Romanian scene, her artistic vocabulary being based on the combination of video-projections and the specific means of the movie with the live presence of the actors. Here is what she says about Nora that she created with the actress Aura Călărașu: “My Nora is a lot older. My Nora lives the last day of her life and she knows it. She is with one step in the past and one in death. She has no present. She is tired and she craves for love. She is in peace with what she did. But, just like any other pioneer, she is alone. The loneliness is tormenting and she is faded. 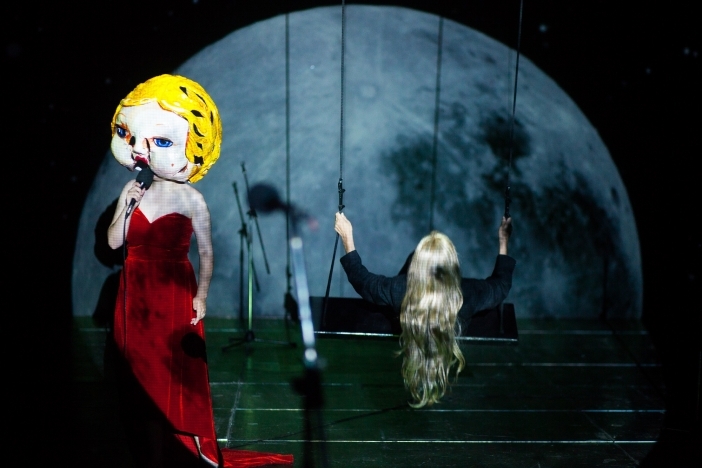 The performance is coproduced by Odeon Theatre and the The Romanian Association for Promoting Performing Arts (ARPAS).